No one wants to be at the back of a queue but inevitably someone has to. In the case of Right-Hand-Drive Tesla Model 3 reservationists, they always knew this would be the case. On the anniversary of the third year of waiting for the earliest reservation holders, there are benefits to being at the back of the queue. Tesla isn’t held back by yearly iterations which allows them to make improvements that other manufacturers take decades to improve upon and implement. It could be one of the largest leapfrog moments in the auto industry and the continual changes will see welcome developments to European and RHD cars over those already delivered in the USA and Canada. In the beginning, there were issues with panel fit, paint finish quality and a host of other niggles which given time, knowledge, and training have mostly been ironed out. Early customers have had the heartache of not getting a perfect car and the inconvenience of getting these issues sorted. Lately, reports have been positive from customer deliveries and potential owners visiting showrooms. Tesla has improved the seating in the Model 3 with positive reviews on YouTube and in forums welcoming the changes that have offered better support and padding over the original seats. Although a key feature of autopilot is the software that keeps improving through over the air updates. Autopark and Summon have seen changes since the first Model 3 deliveries along with the introduction of Navigate on Autopilot. However, to provide the processing power needed for future full self-driving (FSD), Autopilot 3.0 hardware will be offered as a free upgrade to those with the 2.5 hardware and purchased the full self-driving package. It is likely that this upgrade will already be included in Right-Hand-Drives Model 3s from the start? Water runoff into the boot (trunk) was seen in earlier models, improvements to the rubber seal have been made to capture more runoff into the drainage channel. The fail was shown by Bjørn Nyland in the following video. Not available at launch and even now not included as standard, Tesla introduced the $150 key fob around October 2018. This was after feedback that some customers were having issues unlocking their cars with their smartphones. 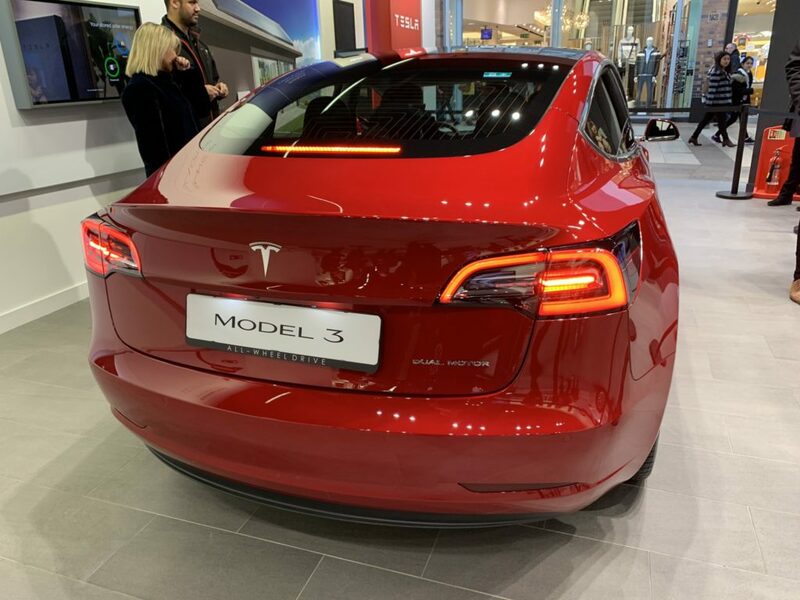 In Europe, the Model 3 features the CCS charging hardware which will allow charging from an AC or the higher rated CCS connectors. 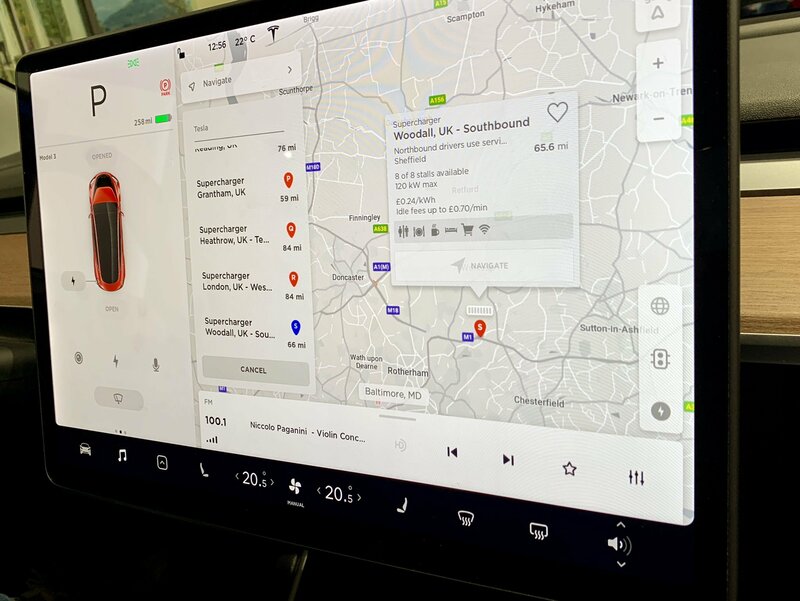 Although current Tesla Superchargers deliver up to 120 kW, the new version 3 (V3) technology will allow Tesla’s current vehicles a big step up in power. With some early access program owners testing the V3 charging on their Model 3s the charge rate goes up to 250 kW or a gain of up to 1,000 miles per hour of charge (complete article and demo video). Tesla keeps the Model 3 software fresh and can introduce new features over-the-air, however, the hardware is pretty much set in stone at the factory. With the exception of retrofitting HW3 computers, most owners will have what they have. 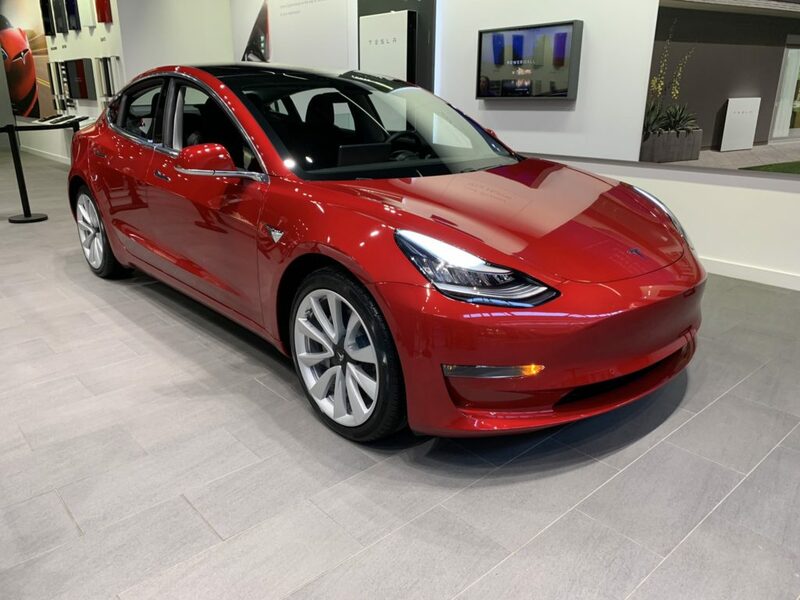 Seeing the Model 3 delivered 18 months ago and a deluge of YouTube videos and articles whipped international markets into a frenzy and to ask “when us Elon?”. 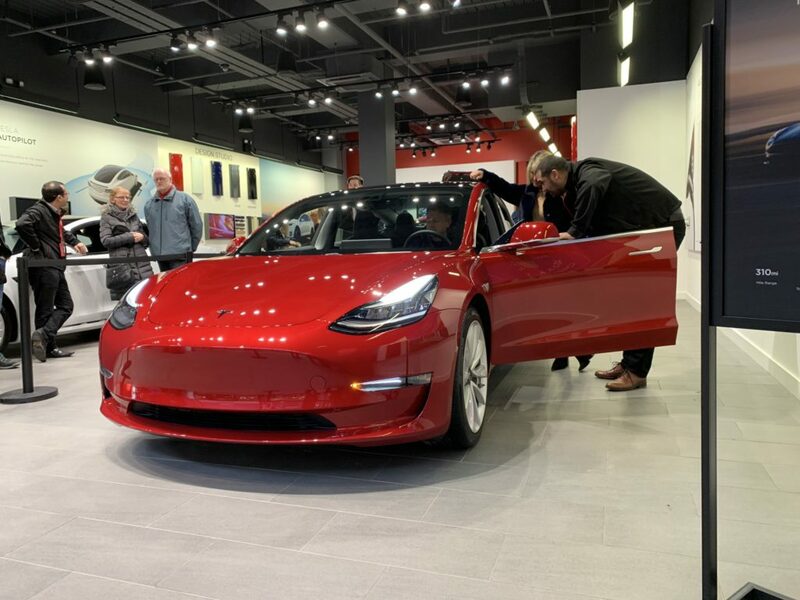 Europe has shown Tesla there’s a huge demand for Model 3 and although only 75 countries buy Right-Hand-Drive cars, this market is smaller but could account for 35% of Tesla customers. Yes, three years is a long time but there are some benefits to being at the back of the queue. Model 3 Reservation holders in the United Kingdom, Australia, and Hong Kong are now ready to join the Tesla family. 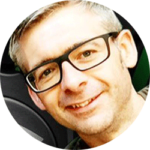 About the Author: Paul is an electric car owner and Model 3 reservation holder from the UK for a long time. He spreads the EV adoption mission via his Twitter account where he goes by the name of Electric Vehicle Guy and his influential Flipboard profile with the same moniker. Paul is a graphic designer by profession and also has a YouTube channel to promote electric vehicles and sustainability.